This edition is the same as Cordon Bleu Cognac: A masculine, pepper-ish Extra Old Cognac. Dark colour, fresh and rich on the palate. This faboulous XO bottle is a retro edition of Martell's classic flagship cognac Cordon Bleu. 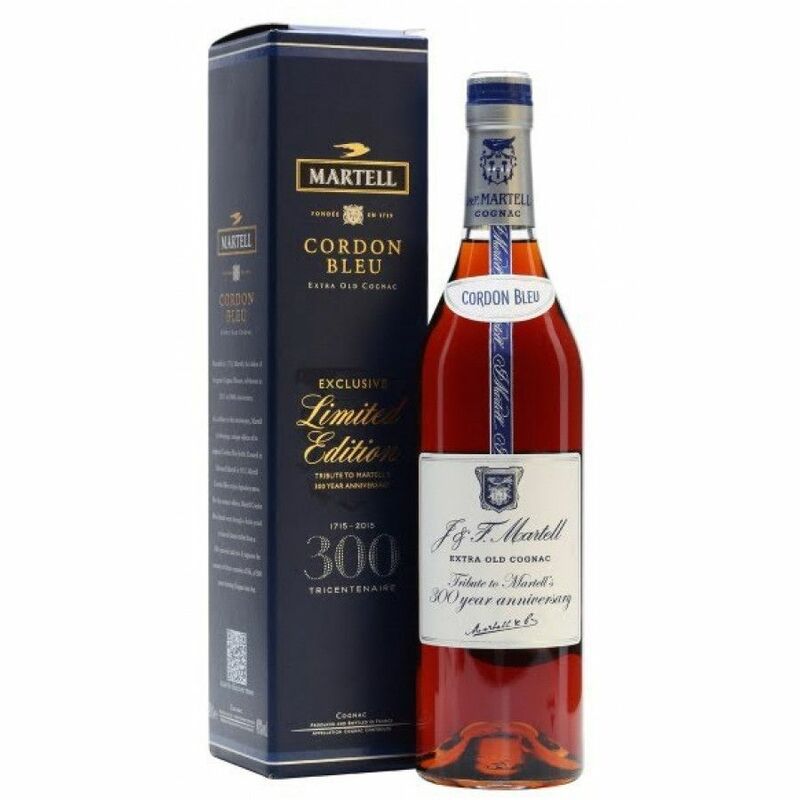 A spectacular limited edition for Martell's 300th anniversary in 2015. We really love the standard Cordon Bleu bottle but this one here is a lovely piece of simplistic packaging and great cognac making.